Riverside Pie Cafe has rolled out a rock star pie lineup for their February pies of the month. We’re absolutely certain you’ll keep going back often for a slice or two or the whole dang pie. Here’s a look at all four special pies available throughout the month of February. 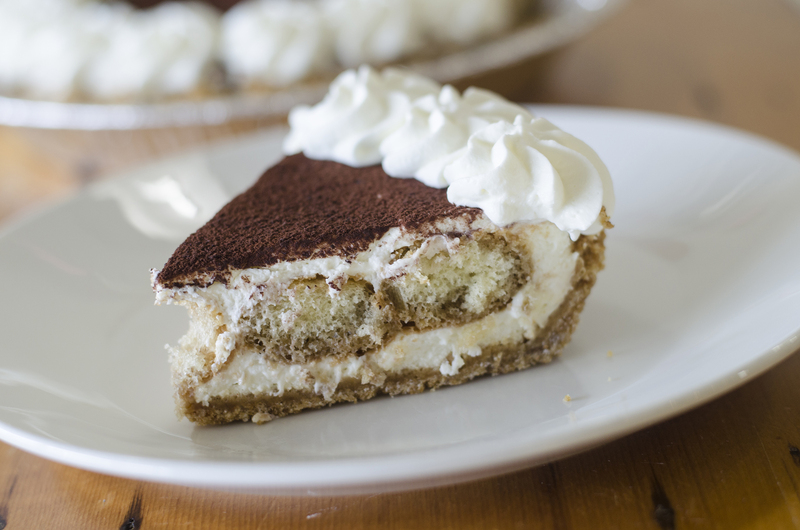 Tiramisu pie from Riverside Pie Cafe in Windsor, Ontario. An Italian classic transformed into pie format. If you’ve never had tiramisu before, first: shame on you. Second: it somehow gets better ten fold when placed on a graham cracker pie crust. 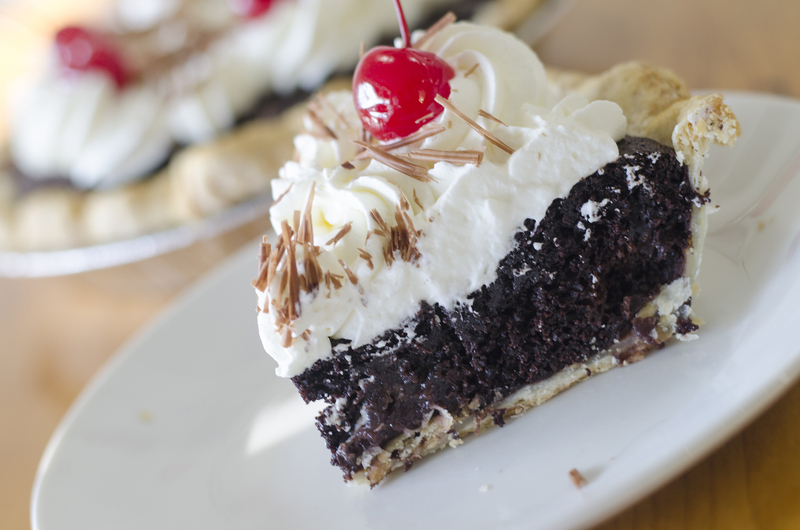 Black forest pie from Riverside Pie Cafe in Windsor, Ontario. Cake, meet pie. Rich, dark chocolate and cherry cake with fresh whip cream, chocolate shavings and a cherry on top. How could you say no? 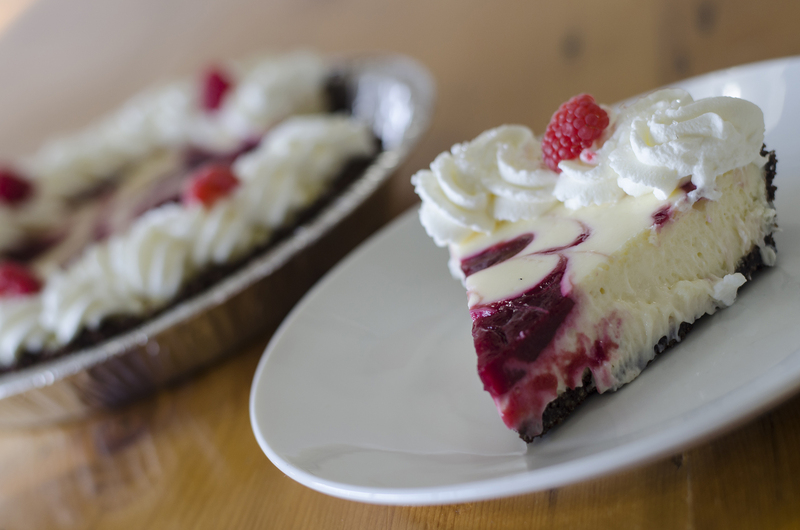 Raspberry cheesecake pie from Riverside Pie Cafe in Windsor, Ontario. The raspberry swirls make this cheesecake-turned-pie a piece of art. The chocolate crust makes it a hell of a tasty pie. The Elvis pie from Riverside Pie Cafe in Windsor, Ontario. “My tongue gets tied when I try to speak. 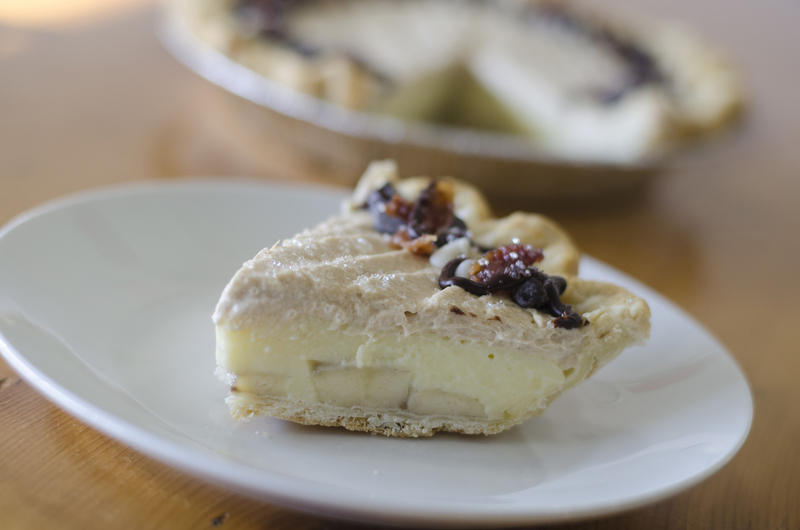 My insides shake like a leaf on a tree.” This banana cream pie topped with peanut butter mousse, chocolate and bacon ensure that this pie perfectly embodies those lyrics. I’m all shook up!